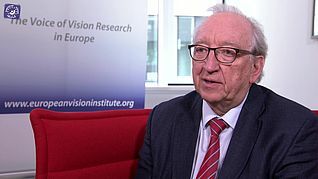 The European Vision Institute (EVI) initiated this format in order to get short answer on pestering questions from top experts of the field of Vision Research and Ophthalmology. What is your guess for the most promising therapies of blinding eye-diseases within the next ten years? What are measures to increase the competiveness of ophthalmology in relation to other medical disciplines? How to make Ophthalmology and Vision Research more attractive for young people? What are your ideas to boost the field? 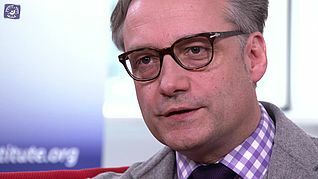 One Question - one Answer: Hendrik Scholl of the Eye Hospital at the Universitätsspital Basel and the Institute of Molecular and Clinical Ophthalmology (IOB), Basel, Switzerland talks about "Which measures could make ophthalmology more competitive as a field?" 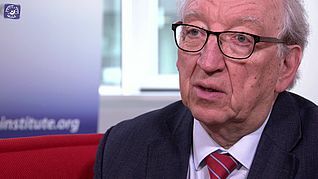 One Question - one Answer: Michael Brand of the CRTD Center for Regenerative Therapies Dresden, Germany talks about "What is special about the Centre of Neurosensory Systems Tübingen?" 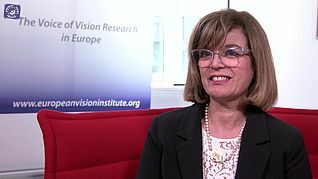 One Question - one Answer: Hélène Dollfus of Inserm - Université de Strasbourg - Hôpitaux Universitaires de Strasbourg, France talks about "Which therapies for blinding eye-diseases look promising for the next decade?" 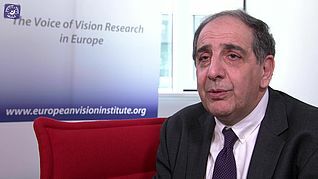 One Question - one Answer: José-Alain Sahel of the Institut de la Vision, Paris, France talks about "Which measures could make ophthalmology more competitive as a field?" 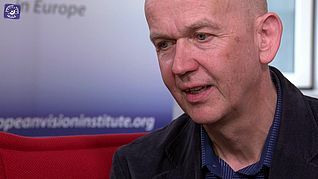 One Question - one Answer: Eberhart Zrenner of the Institute for Ophthalmology Tübingen, Germany talks about "Which therapies for blinding eye-diseases look promising for the next decade?" 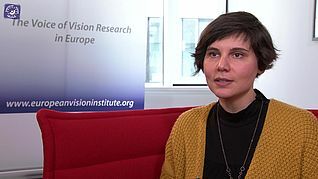 One Question - one Answer: Deniz Dalkara of the Institut de la Vision, Paris, France talks about "How can we make the filed more attractive for young people?" 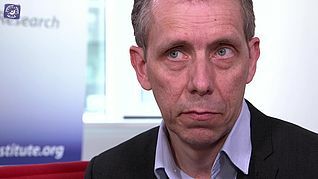 One Question - one Answer: Frans Cremers of the Radboud University, Nijmegen, The Netherlands talks about "How can we make the filed more attractive for young people?" 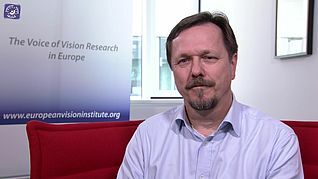 One Question - one Answer: Michael Brand of the CRTD Center for Regenerative Therapies Dresden, Germany talks about "What fascinates you about eye research?" 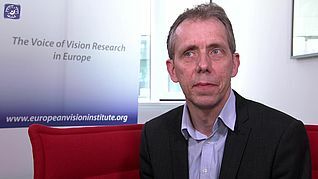 One Question - one Answer: Frans Cremers of the Radboud University, Nijmegen, The Netherlands talks about "How could the EU better support eye research?" One Question - one Answer: Michael Brand of the CRTD Center for Regenerative Therapies Dresden, Germany talks about "How can we make the field more attractive for young people?" 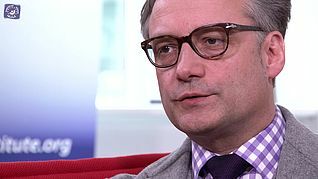 One Question - one Answer: Eberhart Zrenner of the Institute for Ophthalmology Tübingen, Germany talks about "Which measures could make ophthalmology more competitive as a field?" 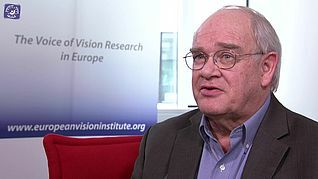 One Question - one Answer: Paul Sieving of the National Eye Institute (NEI), USA talks about "Which therapies for blinding eye-diseases look promising for the next decade?" 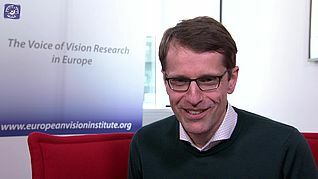 One Question - one Answer: Marius Ueffing of the Institute for Ophthalmology Tübingen, Germany talks about "Which measures could make ophthalmology more competitive as a field?" 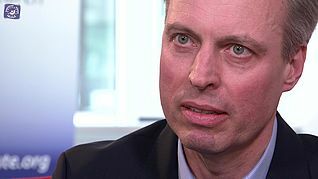 One Question - one Answer: Sascha Fauser of pRED Ophthalmology (discovery and translational medicine) at Roche, Basel, Switzerland talks about "Which measures could make ophthalmology more competitive as a field?" 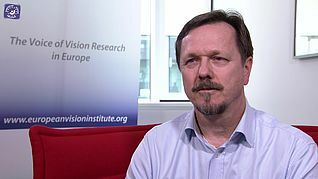 One Question - one Answer: Botond Roska of the Friedrich Miescher Institute and the Institute of Molecular and Clinical Ophthalmology (IOB), Basel, Switzerland talks about "How can we optimize the transfer from bench to bedside in the EU?" One Question - one Answer: Enrica Strettoi of the Istituto Di Neuroscienze of the Consiglio Nazionale delle Ricerche, Pisa Italy talks about "How can we make the field more attractive for young people?" 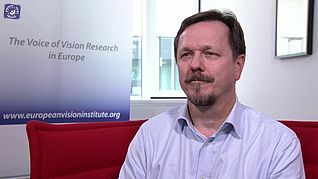 One Question - one Answer: Bart Leroy of Ghent University, Belgium talks about "How can we optimize the transfer from bench to bedside in the EU?" 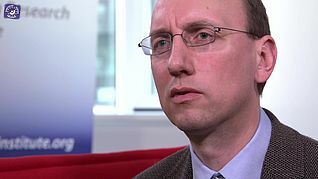 One Question - one Answer: Bart Leroy of Ghent University, Belgium talks about "How does the regulation process impact the competitiveness of the field?" 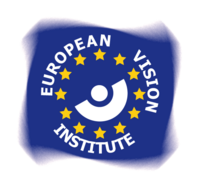 The European Vision Institute (EVI EEIG) is legally constituted under European law (Council Regulation (EEC) No 2137/85) as a European Economic Interest Grouping.